THE BODY OF a man with multiple stab wounds that was discovered in a ditch in north Dublin on Friday has been identified as Michal Kurek. 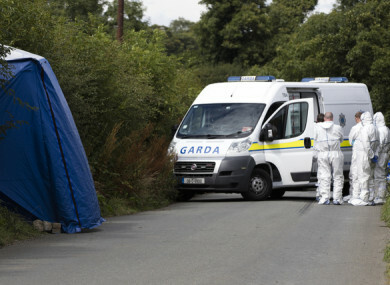 The body was found dumped on the Ballyboughal to Oldtown road, about a kilometre outside Ballyboughal at around 10.40am. Gardaí in Balbriggan say he was a 32-year-old man who was originally from Poland and had been living in the Dublin area for a number of years. Balbriggan Superintendent Noel Carolan said on Friday that gardaí believe the man was killed elsewhere before his body was left in a ditch. Investigating gardaí are appealing to the public for information in relation to Kurek’s recent movements and to friends and associates to contact the incident room at Balbriggan Garda Station on 01-802 0510, the Garda Confidential Line on 1800 666 111 or any garda station. Email “Body of man found in ditch with stab wounds identified ”. Feedback on “Body of man found in ditch with stab wounds identified ”.